Plymothian Transit: Buses getting smarter soon? A "ticketing revolution" which could see electronic smartcards replacing traditional paper tickets for bus and train journeys across the South West is now well under way. Transport minister Norman Baker launched a scheme yesterday to allow companies and councils to link up their schemes and create one multi-purpose card. The £4 million regional "back office system", the first in Europe, should allow passengers in Bristol to add tickets to their cards for journeys in Devon and Cornwall via mobile phones, whilst on the move. Ultimately, people could travel to school or work, visit a leisure centre, borrow a book from the library and then take a train home, without ever needing to carry cash. 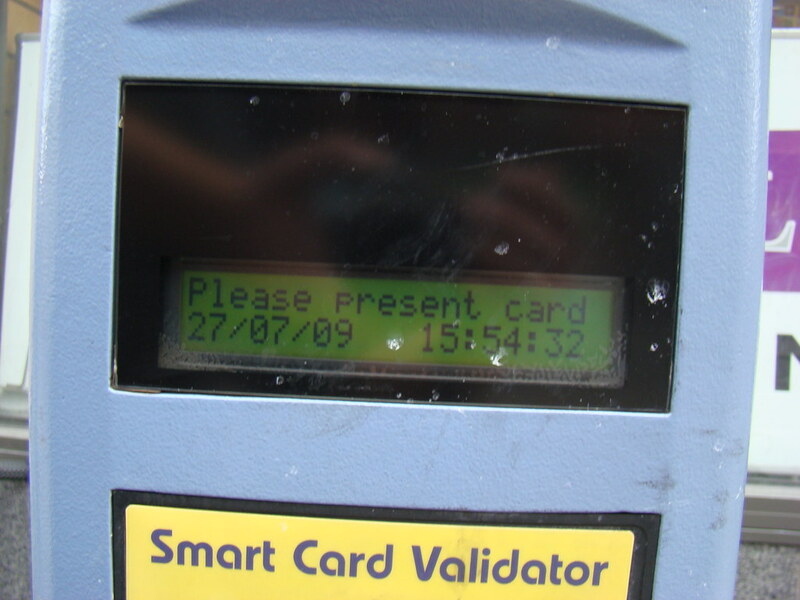 The project, which adopts the Integrated Transport Smartcard Organisation (ITSO) protocols has been four years in the making, with involvement from the University of Plymouth. Professor Jon Shaw, of the university's centre for sustainable transport, said the scheme reduces the initial capital costs and makes it easier to set up smart ticketing schemes. "The operational efficiencies will ensure faster and more reliable services, which in turn will have a beneficial effect on transport flows and carbon emissions," he said. "And the consumer will further benefit from better services and the flexibility to add tickets on their cards in Bristol and use them on buses in Devon, Somerset, Cornwall and Dorset." Since 2007 the Department for Transport has invested heavily in smartcard technology, requiring all English concessionary passes new rail franchises to be ITSO compliant. At least 1,500 buses will be "smartcard enabled" for concessions and multi-purpose ticketing by end 2011. A grant scheme was also unveiled yesterday, at a cost of £1.85m, to upgrade buses with ITSO smart ticketing equipment in the South West. South West Smart Applications Ltd, a new mutual not-for-profit company established by bus companies and local authorities in the region, was also launched. There will also be a free consultancy support programme, worth £120,000, for South West local authorities and operators, providing specialist ITSO consultants.